A modern take on traditional wall lights. 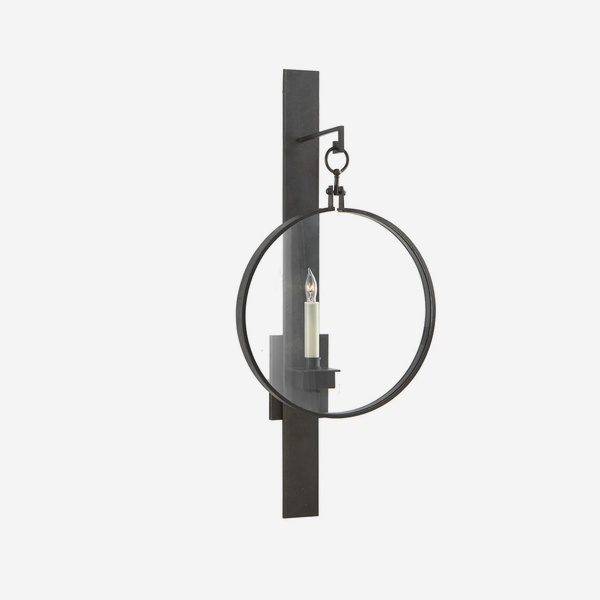 Alice, in aged iron, features a faux candle with a round hanging glass cover. Imbued with style of old yet with a slick contemporary look, Alice gives off subtle light, suitable for stairwell or hallway decoration.